Sometimes going out to dinner is more than just eating food, it is an experience. 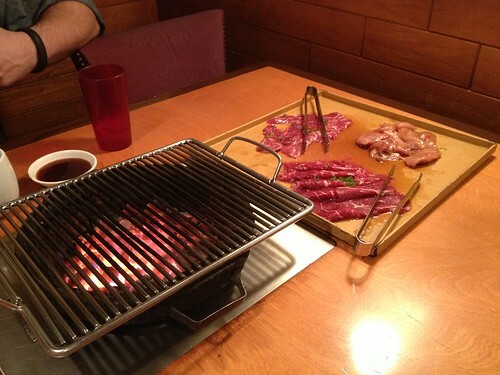 And, sometimes you crave Korean BBQ after an evening of socializing with with friends. 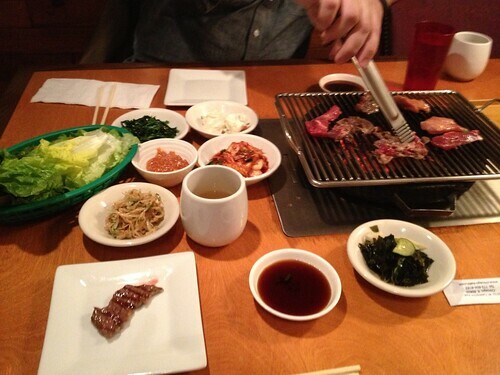 Chicago Kalbia is the place to go if your in the Windy City and wanting authentic Korean BBQ dinner at 11 pm. If you have never had Korean BBQ you really need to go..like now. It is awesome. I recommend ordering a combination platter so you can try several meats. The combination at Kalbia comes with several side dishes. 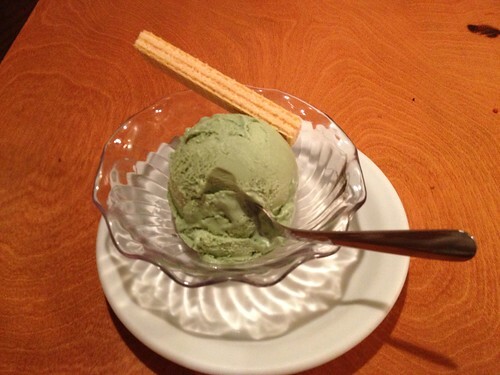 miso soup, rice and green tea ice cream. I also recommend you try the bibimba. Bibimba is assorted veggies, beef & fried egg on a bed of steamed rice. It is served in a piping hot cauldron and the rice get an awesome crust. So good. 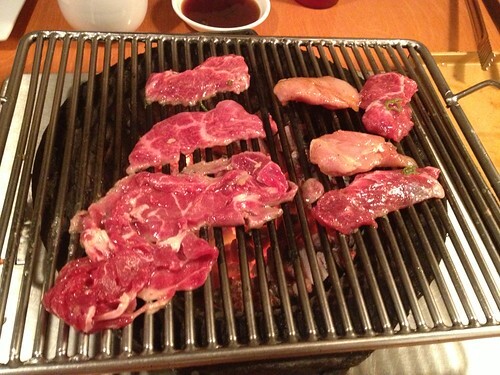 About the only drawback to eating Korean BBQ is you come home smelling like a BBQ. But I’m telling you, it is worth it. They are open late (midnight) on the weekends.